What this season lacks in light and warmth it more than makes up for in holiday spirit. Time to make plans for the weekend. There’s so much to do among our wonderful community of fellow bike lovers that you shouldn’t let the cold and dark keep you from joining in the fun. Get into the spirit of the holiday by taking the long way home after work. 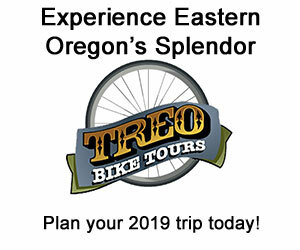 This ride will go from downtown to northeast to soak up the Fremont Street Holiday Fest which will feature holiday crafts, games, carolers, Santa Claus, and more! More info here. Beloved local carbon fiber repair shop will offer top-end frames at great prices. Check official event page for current inventory. 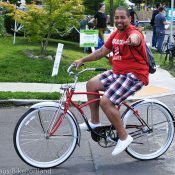 Remember to tell them you heard about it on BikePortland! More info here. 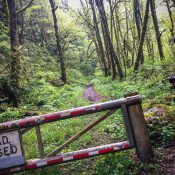 A group of unpaved road lovers will meet in North Plains for a 35-mile jaunt in the hills west of Banks. More info here. With cyclocross season officially over, Golden Pliers and friends will host what looks to be a wonderful get together featuring tattoos, pizza, a big prize raffle (to benefit Community Cycling Center), and World Cup CX viewing. More info here. This annual race is dedicated to Kim Matheson, one of the founding members of the BeerMongers Cycle Club who died unexpectedly of skin cancer in 2014.. Expect a “fly by the seat of your pants checkpoint race around the city.” You’ll get a list of tasks you must complete. Run whatcha’ brung! $10 suggested donation for the Melanoma Foundation. More info here. This bike shop on Mississippi St is having a blowout sale and if you dress in “formal” attire you can get 25% off anything in the store – including bikes! Be sure to stop by and check their goods. 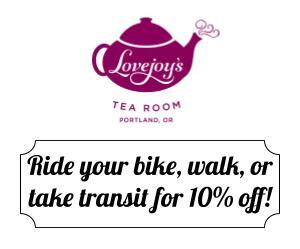 And tell them you saw their ad on BikePortland. More info here. Our friends from Corvidae will meet and do a short ride to Kenton Station to deliver toys for their toy drive. An easy and fun way to socialize and help others in need. More info here. 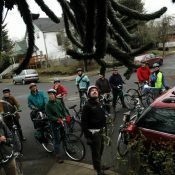 This ride is led by the Portland Wheelmen Touring Club (soon to have a different name?). 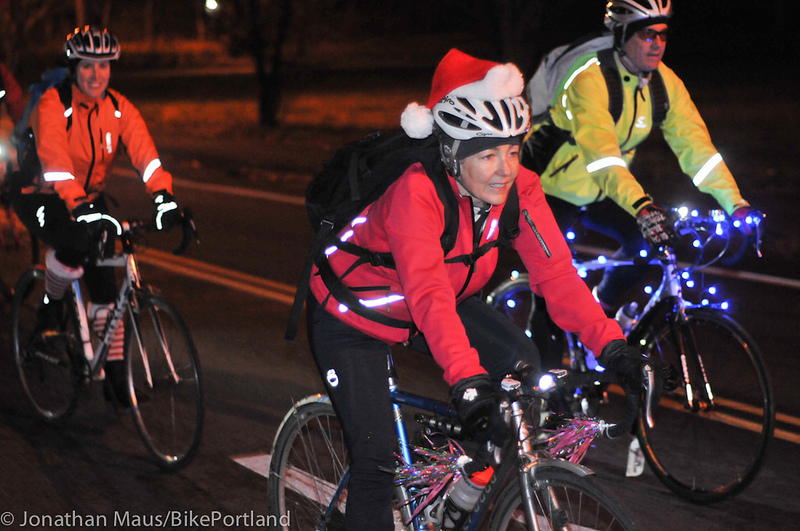 Join an experienced ride leader for a tour of north Portland’s best light displays. Dress warm! More info here. 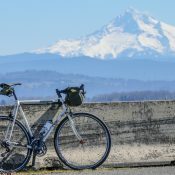 I am on the OMTM list and I did not see an email about a gravel ride on Saturday. Target search coordinates for Dec 3, 2018, at 1:01 PM- if you don’t find it you might not be on the list you think you’re on. Maybe counterintuitive , but shouldn’t Bikecraft be on the list too/still? Sorry, my bad, I had it on my calendar this weekend. This Saturday, myself and Double Darn cycling caps will be at a pop-up at Golden Pliers (1451 N. Skidmore St.) from about 10 to 5. Stop on by, I’ll have a bunch of comix, zines, buttons, postcards, and other ephemera. Golden Pliers is running a different “pop-up” by local bike crafters every Saturday until Christmas!